The first step is listening to you. 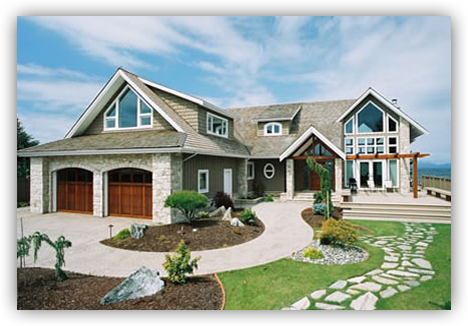 Your custom home should be beautiful, functional and original. Your vision of life in your new home is our guide to creating an environment tailored to your lifestyle. Your dreams will come to life through our craftsmanship and creativity. The team building your home has been recognized for their ingenuity and artistic interpretation of custom home building with regional and local awards. There are literally hundreds of components that go into the construction of your custom home. Technical specifications effectively "build" your home on paper before a single shovel of dirt is turned to keep your custom home on track. We direct the process of building your custom home by creating a solid line of communication between you and the trades-people on your site. We demand the highest level of craftsmanship and guide our people to produce the best for your project. As a company, Homes by Kimberly, is well-financed, well-managed and well-organized. We're always available and completely accountable to you. We ensure the financial side of the business is a solid foundation for our base of operations. Your satisfaction is our primary focus. At Homes by Kimberly, we know the importance of delivering the product you desire, with the service you deserve. As a design-builder with a specialized millwork shop, Homes by Kimberly retains single-source responsibility from start to finish. A careful balance of creativity, communication and organization makes your dream home a reality. We use our experience to ensure your custom building experience is stress free. From start to finish, you will be assisted through a home building process that's organized, fun and easy. The result is a home that matches your needs, lifestyle and personality. Each site has unique characteristics, and at Homes by Kimberly, we are experts in lot development. We combine the elements of the land's natural features and your individual vision to create your dream home. Whether you take advantage of our in-house design service or bring us a design, let's talk about the elements and attributes involved in creating your custom home. Together, we'll walk through each phase of your home's development, beginning with the essentials required for your architectural, design and millwork details. Our fully equipped specialized millwork shop offers the finest hand-crafted architectural detailing and cabinetry, to further define the style and personality of your home. Your enjoyment and comfort relate to products and materials chosen to complement your lifestyle. We bring design solutions for all your needs, focusing on the art of living well. To ensure a smooth move-in process, we'll see that any last minute items are completed on time to get you settled in comfort. 3500 Bluebill Place, Nanoose Bay, BC.